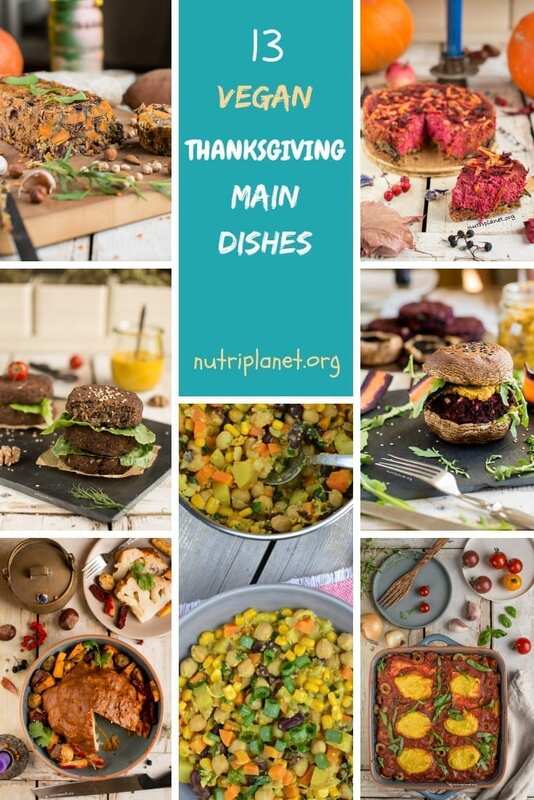 You’ll definitely find suitable vegan Thanksgiving main dishes from the following hearty and delicious recipes: casseroles, quiches, burgers, stews/curries, rice dishes, and vegan roasts. 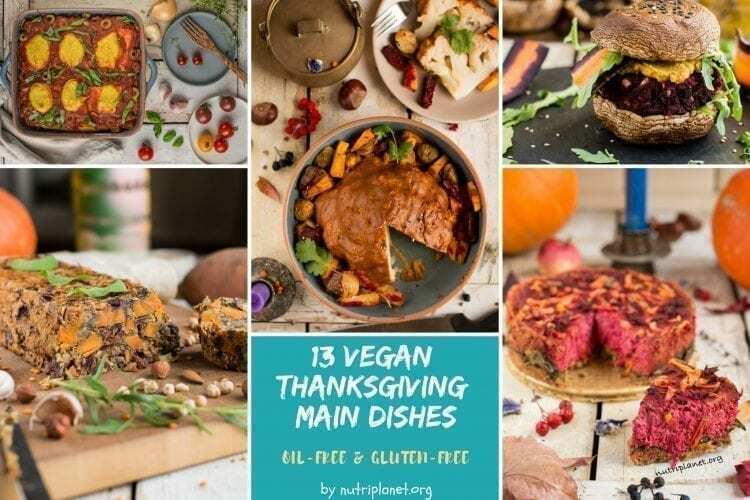 Be sure to check also 43 Vegan Thanksgiving Recipes, 17 Vegan Thanksgiving Sides and Appetizers, and 13 Vegan Thanksgiving Desserts. 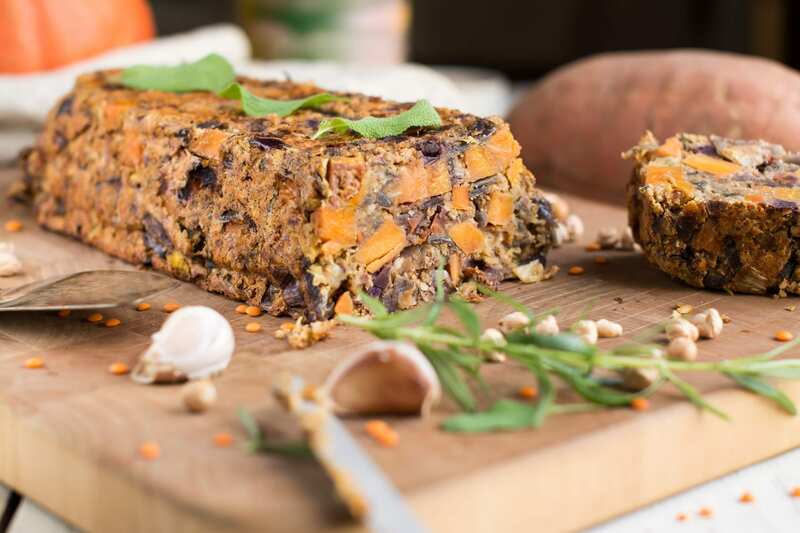 This vegan squash casserole recipe is a perfect comfort food that will make an awesome vegan Thanksgiving main dish. 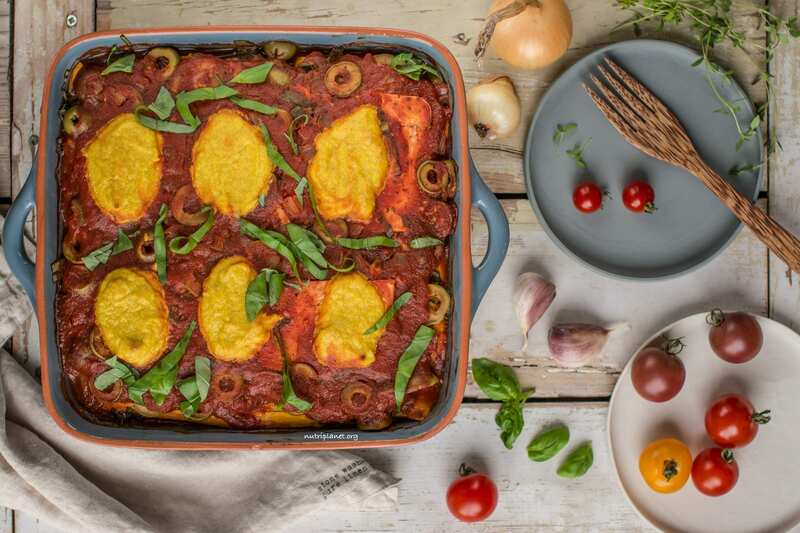 In my vegan casserole the sweetness of butternut squash and lightness of zucchini meet in a perfect combination with flavourful tomato sauce and hearty cashew cheese. 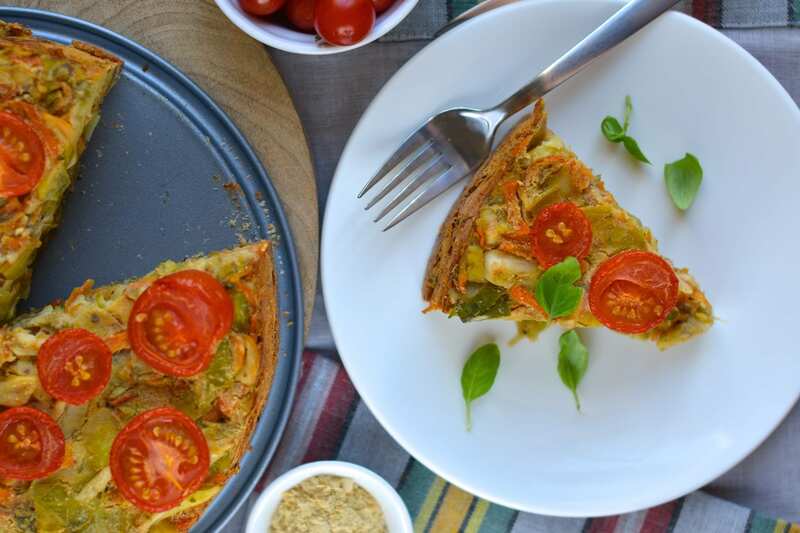 This quiche is like eating a savoury cake – the combination of rosemary, tofu, beet, greens and carrots is just perfect! 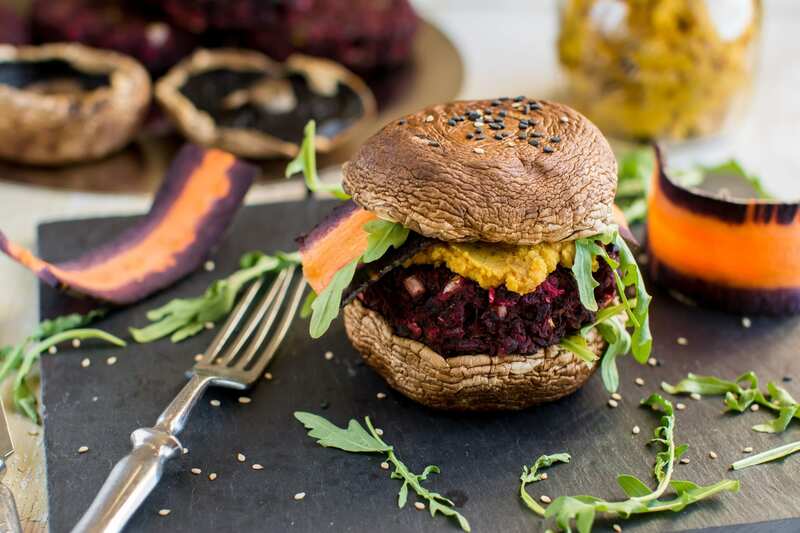 Your family will love it as vegan Thanksgiving main dish. 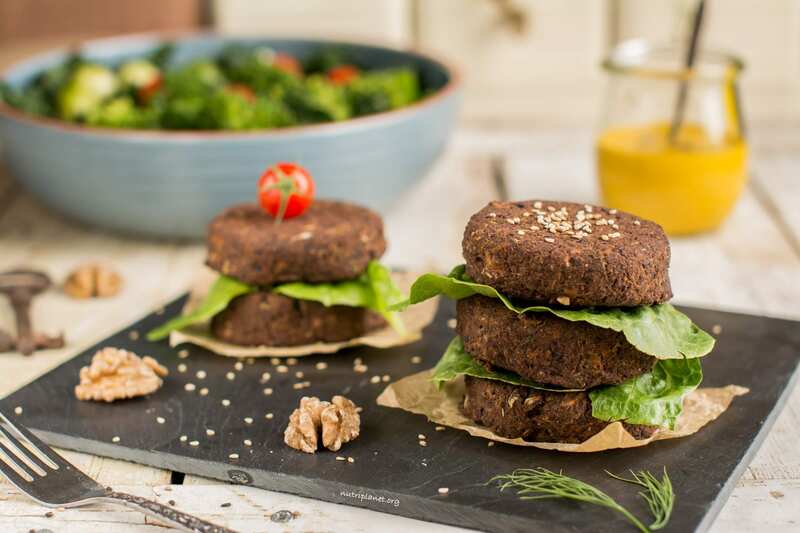 Juicy black bean and beet patties between Portobello mushroom is just so heavenly and scrumptious! 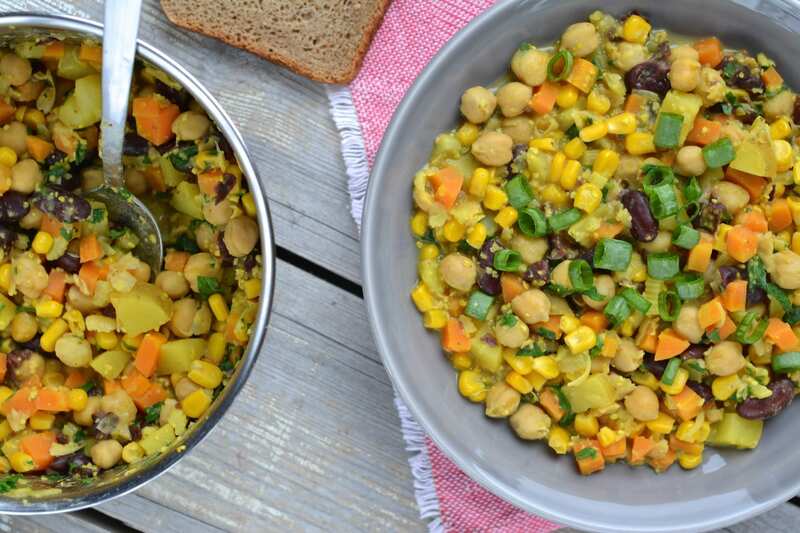 Add the beautifully yellow chickpea hummus, some greens and you’d be munching like the world had stopped. This vegan roast turned out to be a real crowd pleaser last year. I’m confident that this year will be no different! Especially as it mimics a traditional Thanksgiving main dish. And another stew recipe that will blow you away! 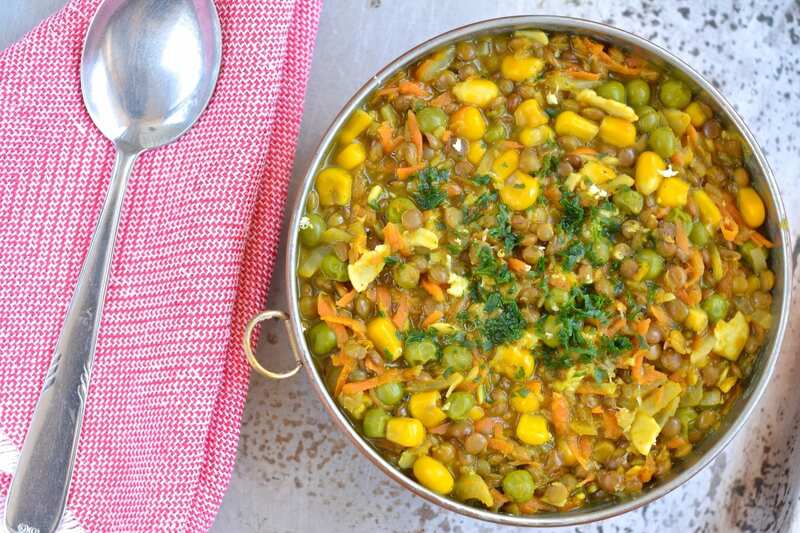 It has it all – the heartiness of lentils and peas, the crunch of carrot and the sweetness of corn. 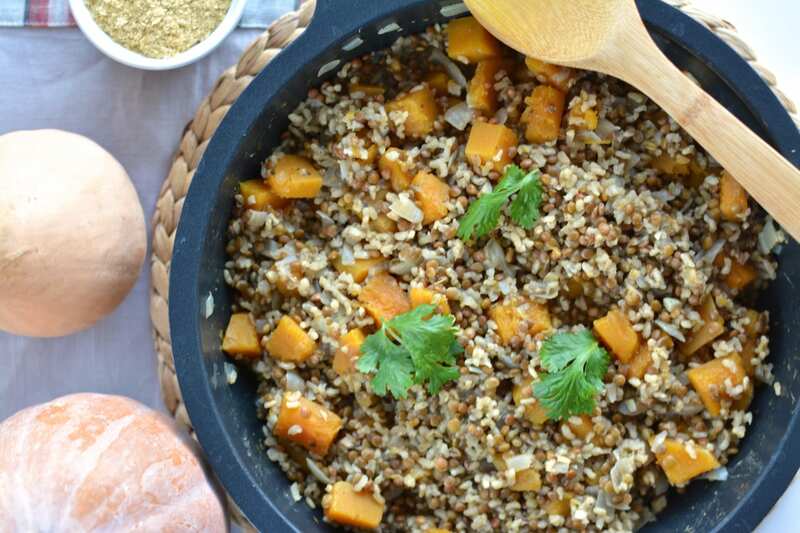 Enjoy it as your vegan Thanksgiving main dish or have leftovers the day after. 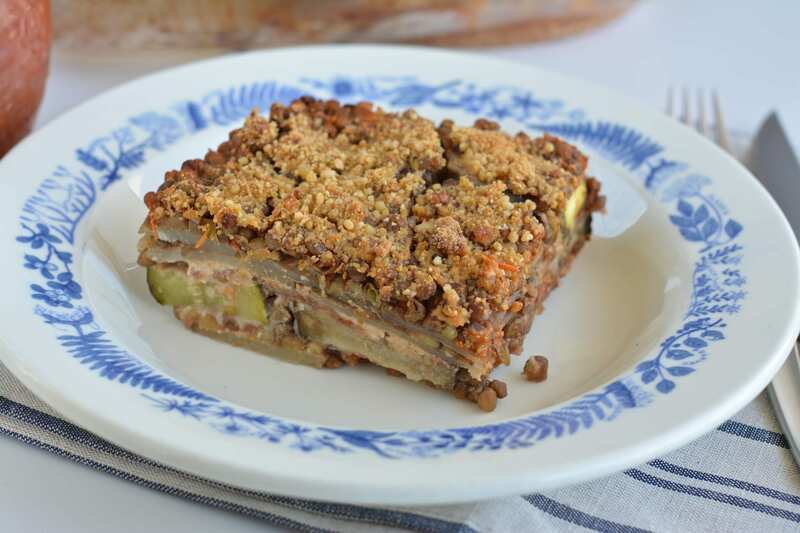 Next up is one of my first casseroles that is a vegan version of my all time favourite Italian mozzarella-zucchini casserole. Of course, no mozzarella in this one! 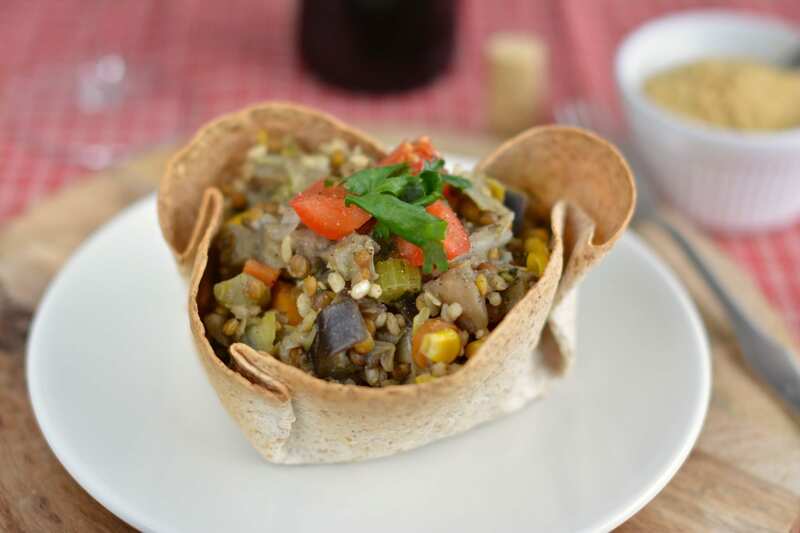 It requires a bit more time and effort, but makes an excellent vegan Thanksgiving main dish. 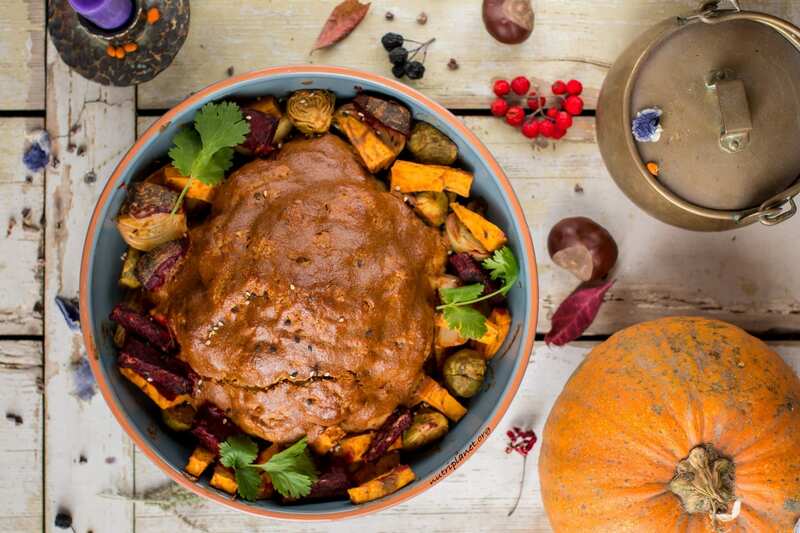 Looking for a really hearty vegan Thanksgiving main dish recipe? 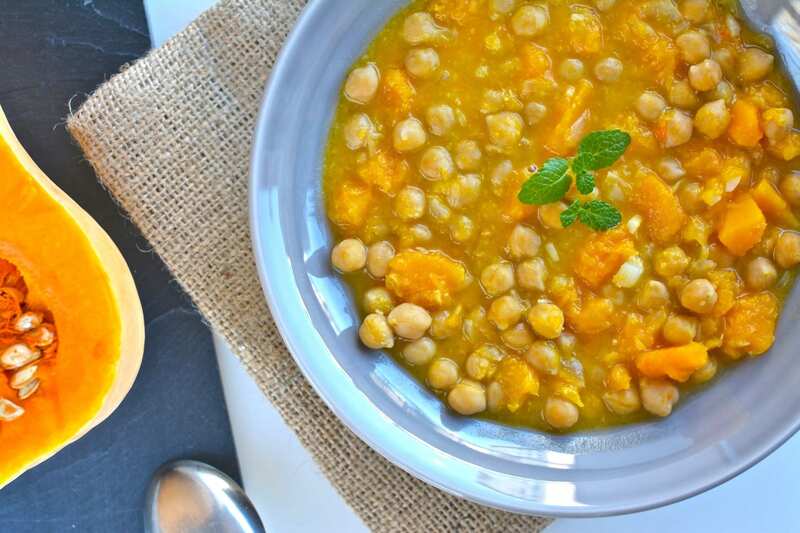 You’ve found it 🙂 This dish consists of only hearty and filling ingredients – rice, pumpkin and lentils. 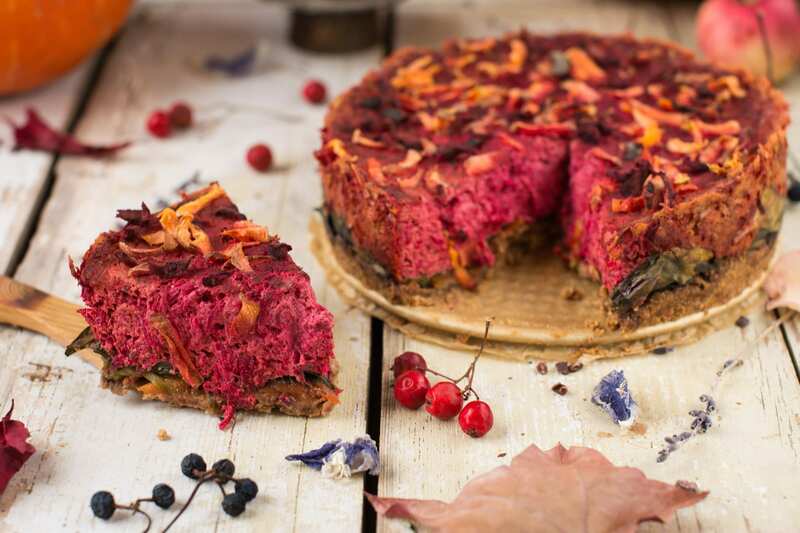 I hope you found your ideal vegan Thanksgiving main dish to surprise your friends or family with! Enjoy the holidays!